Quite literally, a ‘minibeast’ is simply a small animal. Spiders, snails, slugs, beetles, centipedes, worms, earwigs, caterpillars……these are just a few well-known examples of the thousands and thousands of types of ‘creepy-crawlies’ that exist all over the world. 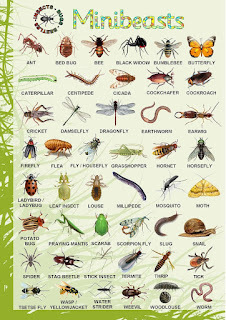 Officially, minibeasts are called invertebrates which are animals without a backbone, and these are the most numerous type of animal in the world. 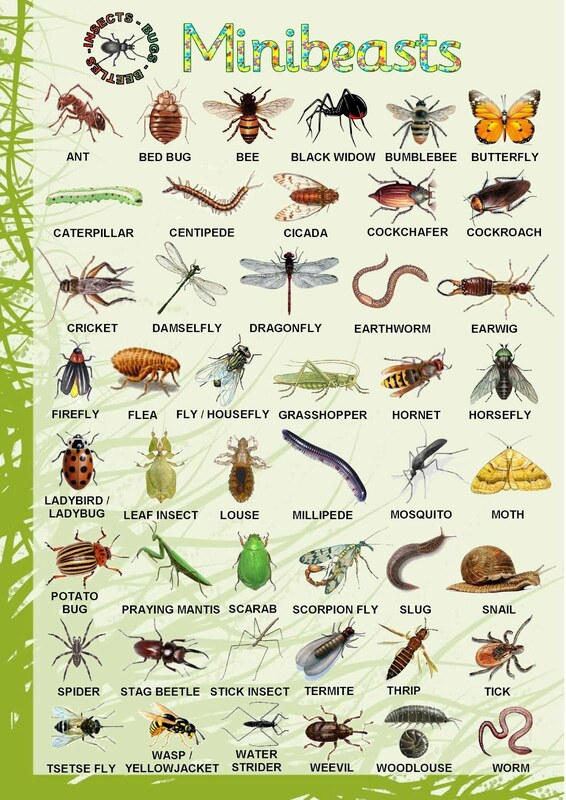 In Britain alone there are over 25,000 species of invertebrates known. Unlike vertebrates (animals with a backbone) they do not have a skeleton inside. This makes them soft and bendy, and because of this, some of them have hard shells to live in. Some, like insects and spiders, have a thin, strong outside covering called an exoskeleton. This means they have protection for their bodies and they have legs, and often wings, which let them move more quickly and easily than other minibeasts.